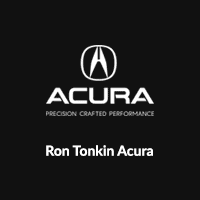 Purchasing an Acura Certified Pre-Owned vehicle from Ron Tonkin Acura means driving away with confidence, peace of mind, and a vehicle you’ll be proud to call your own. Each vehicle is reconditioned, inside and out, to create a certified luxury ownership experience. All vehicles are under six years old with less than 80,000 miles and have a 12 month/12,000 mile Certified Limited Warranty, with additional powertrain coverage for 7 years/100,000 miles*. Each vehicle must also pass a 182-point vehicle inspection and is covered by an extensive Roadside Assistance Program. *Starts from original date of new car warranty registration. The 7-year/100,000 mile Powertrain Limited Warranty starts from the original date of new car warranty registration. An Extensive Service Contract For The Ultimate Peace Of Mind. The optional Acura Care® Certified Additional Coverage provides the highest level of customer protection available. Owners should inquire about additional coverage at the time of purchase or lease of the Certified Pre-Owned Vehicle. Acura Customer Care Benefits after 12-month/12,000 mile limited warranty period (see Program Benefits). Urgent Message Relay: In case of an emergency, we will communicate up to three urgent messages on your behalf. Emergency Airline Ticketing Assistance: If your Acura is disabled, we will assist you in determining available flights and specific airfares, as well as arranging in the delivery of airline tickets. Special Emergency Service: We can notify police of an emergency, assist in making travel arrangements that require special accommodations, or arrange for the delivery of emergency cash from Western Union® (subject to your personal credit). 24-Hour Weather Information: This information is available at any time should you need to find out about weather conditions anywhere in the United States. Insurance Claims Assistance: In the event of an accident, we can contact an insurance claims adjuster to aid in expediting your claim. Auto Glass Replacement Referral: If you need emergency replacement of auto glass, we will direct you to a nearby authorized replacement facility or arrange for on-site installation. Shipment of Personal Replacement Items: Acura Concierge Service can arrange for the emergency shipment of personal items, such as medications, eyeglasses or a passport.